Rehearsals are starting on Monday 9th January 2017 for this fantastic show and the tickets will be on sale shortly. Auditions will take place on the afternoon of Sunday 12th October 2014 at St Andrew’s Place, Hill Lane, Blackrod, Bolton, BL6 5JW. If you want to audition please e-mail Jane Wood here with the part you wish to audition for and you will be sent an audition time. 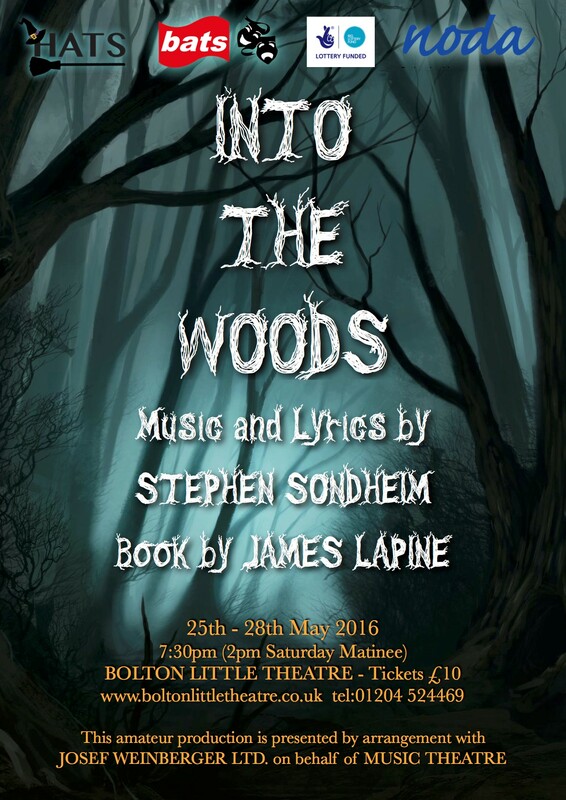 Welcome to the website of Horwich Amateur Theatre Society (formerly Horwich AODS). H-A-T-S is an amateur theatre group based in Horwich, an area within Bolton, Greater Manchester. 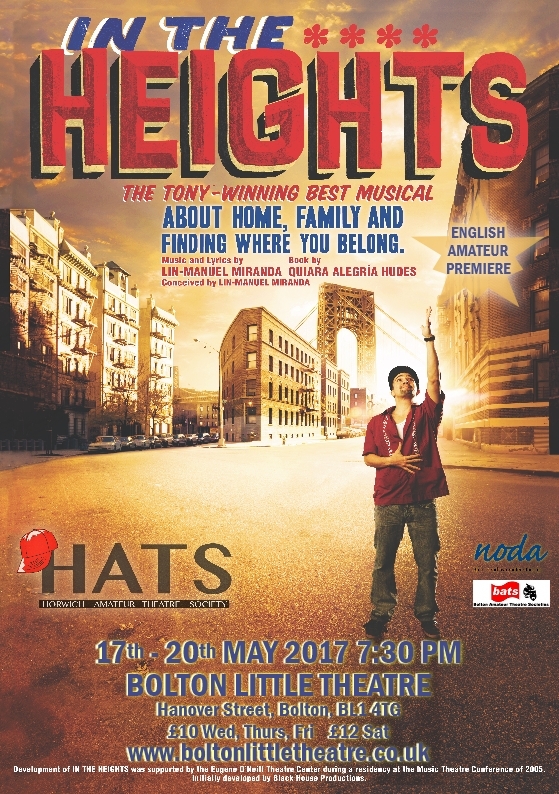 H-A-T-S has an open membership and puts on stage productions in the Bolton and Greater Manchester areas. The society was originally founded in 1954 and has had many different names over the years. 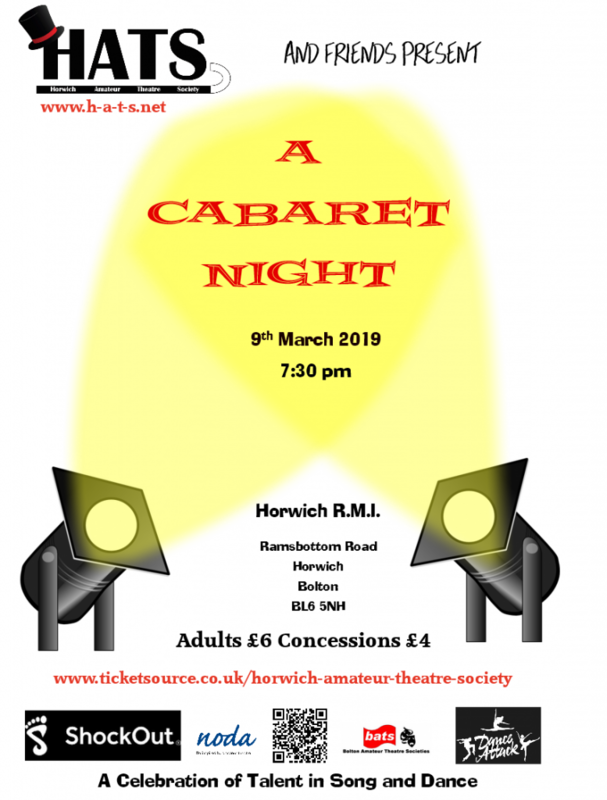 The committee are in the process of arranging a number of events to celebrate 60 years of Theatre for Horwich and will be making a number of announcements as to the programme on this website in the coming weeks. Please check back here to check out the details. In the meantime H-A-T-S are involved in the annual charity Showcase Production at the Lowry Theatre, Salford Quays on Sunday 13th July 2014 at 7:15 pm. 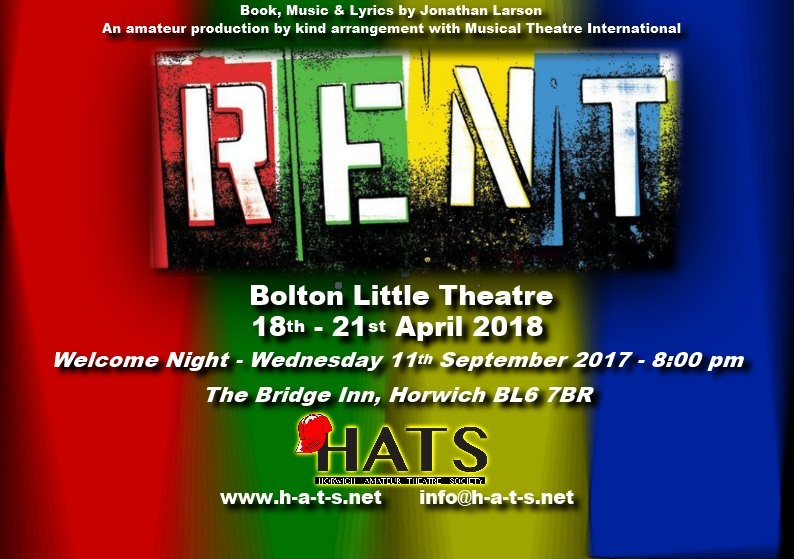 The production involves 7 amateur theatre societies from around Greater Manchester who all come together to put on a 15 minutes set each to give the audience a taster of what the society and show have to offer. This year our set is CHICAGO. 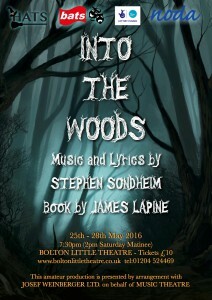 Please come along to theatre to support our cast. Tickets are £15 for Stalls and Circle and £13 for the balcony in this one night extravaganza. For more detail about the society or information on how to join please e-mail us here to info@h-a-t-s.net or contact David on 07834228199. Please sign up to be a user of this site to be notified of any updates on the society. This website is under construction so please bear with us as more content will be added shortly.